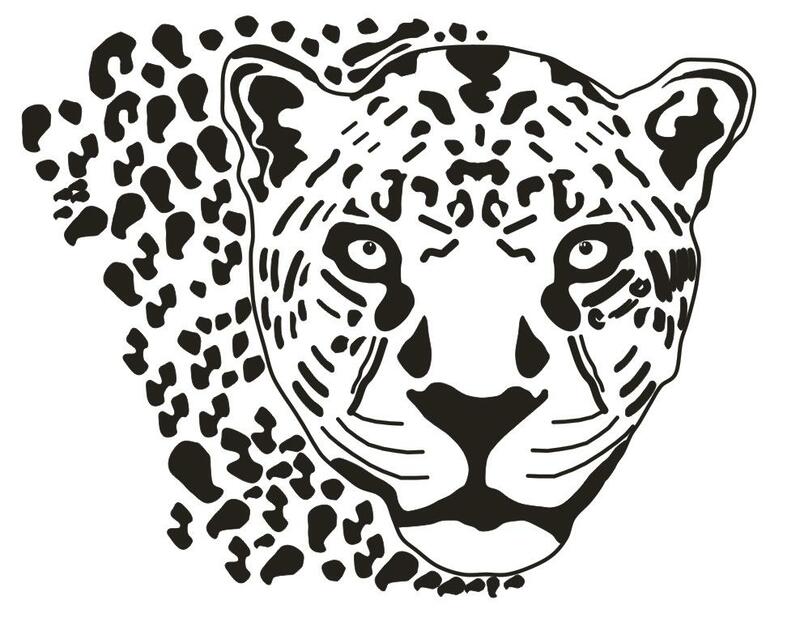 The Jaguar Natural Reserve was established on February 5th 2013 in order to conserve the habitat of the Jaguar (Panthera onca), the Pink Amazon Dolphin or Boto (Inia geoffrensis), the Tapir (Tapirus terrestris), the Brown Woolly monkey (Lagothrix lagotricha) The Horned Screamer (Anhima cornuta) and other species important to the area. The Jaguar Nature Reserve is located in the eastern part of Colombia, in the department of Meta, Mapiripán municipality, located in the center of the country, west of the Eastern Cordillera. The reserve is in the villages of Caño Evaristo and Esteros Altos, 330 km from the city of Villavicencio. It has two ways of access: by river and by land. The first is 13.64 km from the municipality of Mapiripán, downstream on the banks of the Guaviare River, the waterway that leads to the village of Caño Evaristo and the trip lasts 20 minutes, the second is 18.32 km from the urban area leading to Esteros Altos village, the trip takes 40 minutes. In this place nearly 295 species of birds have been recorded, species of medium to large mammals such as the Giant Anteater ( Myrmecophaga tridactyla ) or the Capybara (Hydrochoerus hydrochaeris), Lowland paca (Cuniculus paca) , South American tapir (Tapirus terrestris VU ), the Jaguar ( Panthera onca NT ), Giant River Otter ( Pteronura brasiliensis EN) among others. Also include: the Rose-breasted Chat ( Granatellus pelzelni ), Velvet-fronted Grackle ( Lampropsar tanagrinus ), the Dot-backed Antbird ( Hylophylax punctulatus ),the Brown Nunlet ( Nonnula brunnea ), the Crestless Curassow (Mitu tomentosum ), the Black Curassow (Crax alector ), the Horned Screamer ( Anhima cornuta) and the Blue-throated Piping Guan (Pipile cumanensis ) among others. The Reserve has important tributaries like the Guaviare River, the Evaristo Canal, the Cachicamo Canal, the Toninas Lagoon, the Encantos Lagoon and various wetlands, the forests protecting water bodies are in good condition to a height ranging from 160-230 meters above sea level. Average temperature 26.5 ° C, the annual average rainfall is 2,078 to 2,500 mm; regime rainfall is monomodal, characterized by a dry season between December and January and one rainy period between April and July, with some intermediate periods of lower precipitation being the driest months October to April and May to September the wettest. This consists of forest and riparian gallery, savannas, morichales , marshland , ponds, lagoons, lakes and natural wetlands , high dense mainland forest, transformed vegetation (weedy grasses ), low dense mainland forest and high dense floodplain heterogeneous forest: the families of species best represented are mimosaceae, moraceae, melastomataceae , lauraceae, fabaceae, euphorbiaceae, rubiaceae, burseraceae, Sapotaceae and myrtaceae. The species identified to date are as follows: wheel tree (Aspidosperma excelsum), acai (Euterpe precatoria) barrigona (Iriartea deltoid) moriche palm (Mauritia flexuosa) , Bauhinia (Bauhinia guianensis) and rebalsero freighter (Eschweilera amazonica) Grapia (Apuleia leiocarpa) velvet tamarind (Dialium guianense), algarrobo (Hymenaea oblongifolia), Guanandi (Calophyllum brasiliense), macano (Terminalia amazonia) fariñero (Clathrotropis macrocarpa), tilo (Ocotea cymbarum), Wyra Caspi (Cedrelinga cateniformis ), goats milk tree (Pseudolmedia laevigata), woolly (Pseudolmedia laevis ) and Milpo or purple flower (Erisma uncinatum) and Sandpaper Tree (Curatella americana). The most important feature of the Reserve’s biodiversity and that makes it of great conservation concern, is that the Reserve’s fauna and flora have a high density of species witch are easily observed. Among these species are at the Pink Amazon Dolphin or Boto (Inia geoffrensis ) , the Lowland tapir (Tapirus terrestres VU) , the giant river otter ( Pteronura brasiliensis EN) among others. 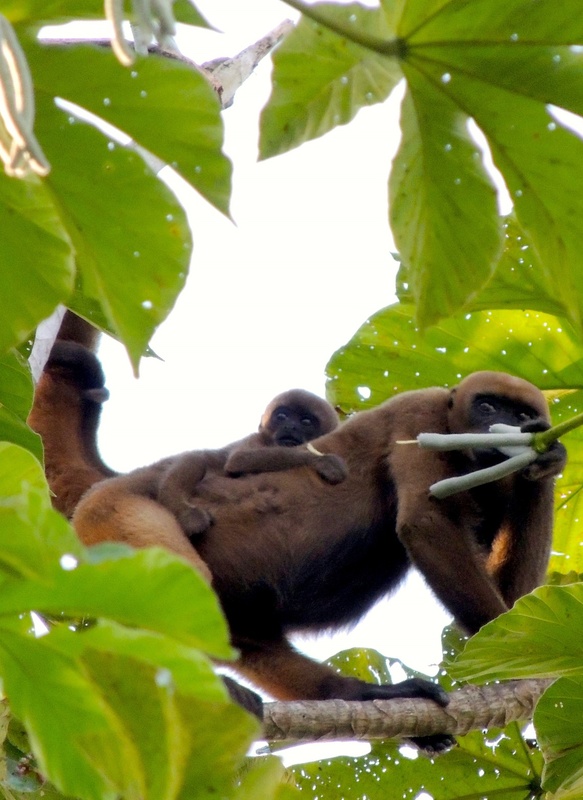 We found the brown woolly monkey ( Lagothrix lagotricha VU) , Jaguar ( Panthera onca NT ) among others. Ecological restoration, zoning, nursery of native species, reforestation, Co – management of Barren Areas in 3 departments and Forest Reserve. Training of 19 Mapiripán Township Schools in environmental and biological education, two schools in the department of Vichada and 6 schools in the department of Guaviare with the aim of creating friends of birds research schools. Navigating the river and lagoons to observe the Pink Amazon Dolphin, river-edge birds, wildlife photography and high demand hiking. Respect the natural values ​​of the reserve, plants and animals. The collection of biological material is not permitted. Follow the directions of the Reserve staff and travel on established trails. You can make camp in designated areas. You should bring rubber boots, waterproof, sunscreen, anti mosquito repellent and mosquito net. Report health problems and / or allergies.